We are so excited to be hosting a taster menu evening at Feng Sushi Borough Market in aid of the amazing charity Trekstock. Trekstock supports the practical everyday needs of young adults with cancer, through peer-to-peer support, age appropriate information and health and wellbeing interventions. Most people take moving into their 20s and 30s for granted, but this isn’t the case for those who are told they have cancer – everything becomes a lot more complicated. 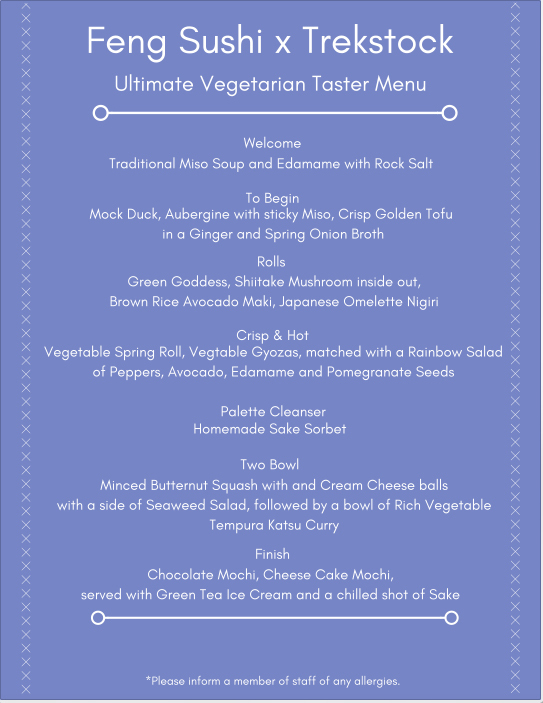 We have created an ultimate taster menu, all of the profits from the evening will go directly to Trekstock. 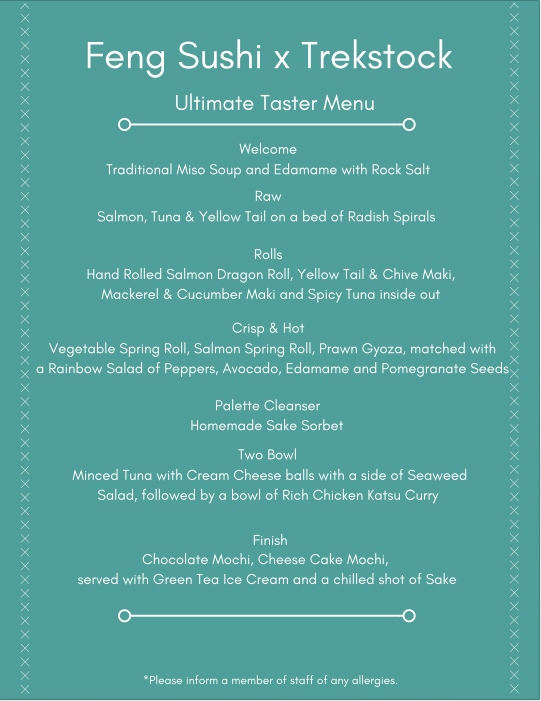 Our sushi experts have developed a seven course taster menu especially for this event. Our aim is to give you the Feng Sushi experience in one unique sitting. Tickets for the event will cost £45.00 and the vegetarian option will cost £40.00.